Make sure to checkout official iOS 6 creenshots from Apple. We already heard that Apple allegedly plans to ditch Google Maps for its own in-house “Maps” app in the upcoming iOS 6 mobile operating system. 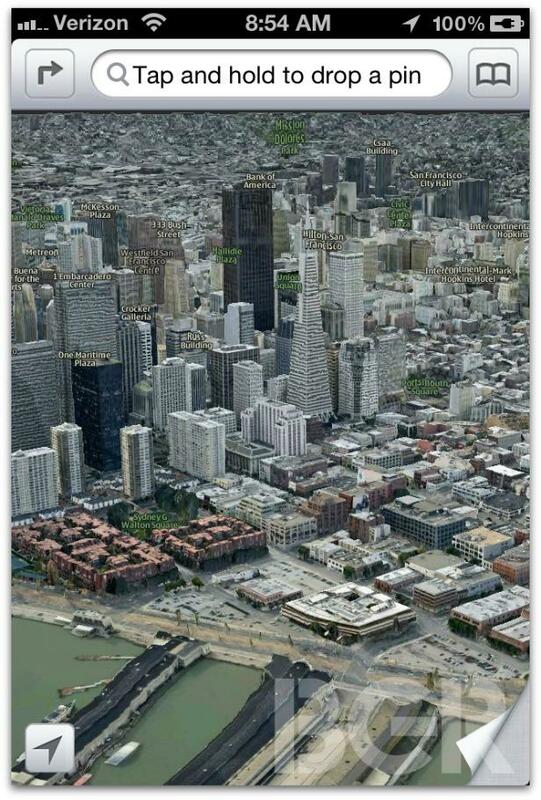 But now we might actually know what the Apple-created map app will look like. Mobile-centric site BGR has published a series of photos, obtained from a “trusted source,” of what appears to be the new Maps. The photos appear to show that Maps will have both a standard 2D view, as well as an impressive 3D mode, which gives users a detailed view of buildings, parks, and streets. The 3D portion of the app was reportedly developed by C3 Technologies, one of three mapping companies Apple acquired over the past few years. C3’s realistic 3D mapping technology is based on an imaging technique developed by defense company Saab AB. BRG’s Jonathan Geller reports that the 3D functionality can be turned on or off using an icon that will appear in the bottom-left corner of the app interface. Apple also plans to include a “locate me” button into the new Maps, according to Geller’s source. Furthermore, Geller says that Apple plans to change the navigation bar from blue to silver, which suggest that “Apple might shift toward a silver color theme in iOS 6 like on the iPad.” Not exactly a life-changing detail, but hey, it’s something. Apple is widely expected to unveil iOS 6 at its upcoming Worldwide Developers Convference, which kicks off in San Francisco on June 11. 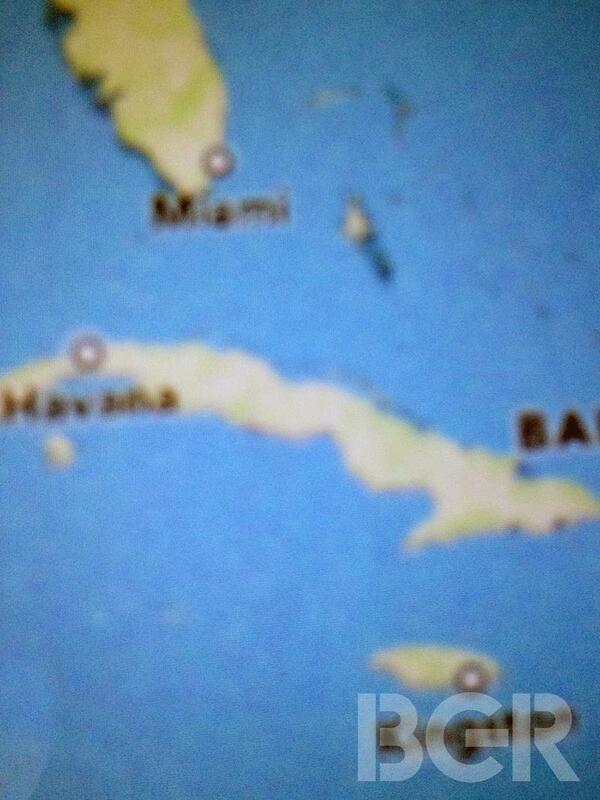 To see the rest of the alleged Maps images, click here.